NEW YORK (July 25, 2018) – KIDZ BOP, the #1 music brand for kids, and Live Nation are getting into the driver’s seat with Dollar Car Rental, as the leading family brand in the car rental industry signs on as the presenting sponsor for the successful “KIDZ BOP Live 2018” tour. The rental car company aimed at ‘Driving Family Memories’ will support the KIDZ BOP tour, which will stop in 35 cities across the country. The sponsorship will include the development of an original co-branded music video, produced by Live Nation, featuring the KIDZ BOP Kids, special KIDZ BOP promotions when renting at dollar.com, and a national sweepstakes offering a trip to the Ultimate KIDZ BOP VIP experience. For more information about the “KIDZ BOP Live 2018” and ticket information, visit kidzbop.com/tour and LiveNation.com. Dollar Car Rental is devoted to traveling families, offering them a trusted, dependable and affordable brand—“We never forget whose dollar it is”—for their family vacations. This motto drives the brand’s efforts to offer incredible experiences that help create lasting memories. KIDZ BOP is equally dedicated to families and an ideal partner for Dollar. With hundreds of thousands of kids and parents attending the show this year, the “KIDZ BOP Live 2018” tour will enable Dollar Car Rental to connect with families in a special way. The KIDZ BOP Kids, whose latest album – KIDZ BOP 38 – debuted earlier this month, headline the tour. This year’s tour marks the debut of its most ambitious stage design and choreography to date that is sure to amaze and delight fans. “KIDZ BOP Live 2018” is the ultimate family concert experience, “sung by kids for kids.” The KIDZ BOP Kids – Billboard Magazine’s #1 Kids’ Artist for eight consecutive years (2010-2017) – will perform some of today’s biggest hit songs. 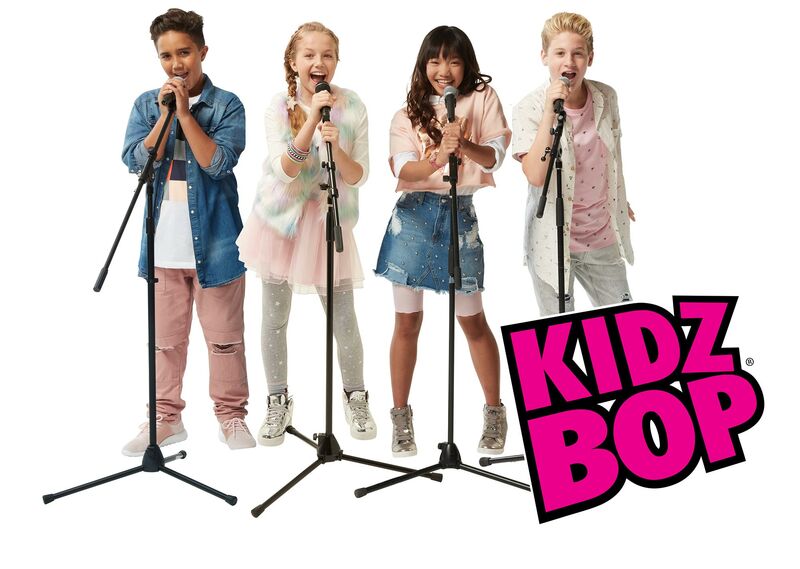 Four KIDZ BOP Kids will take the stage for each performance, which will include innovative stage design, special effects, fan interaction, and even a parent dance battle to 90’s hits. Parents can help their youngest fans get ready for the show with the all-new KIDZ BOP Live app! The KIDZ BOP Live app is the ultimate source for tour info, tickets, exclusives, fun photo filters, tour news and more. During the show, parents can capture memories with KIDZ BOP Live Photocards and receive fan exclusives. KIDZ BOP connects with kids and families through its best-selling albums, music videos, consumer products and live tours. In the U.S., KIDZ BOP is the No. 1 music brand for kids, featuring today's biggest hits "sung by kids for kids." KIDZ BOP has sold over 19 million albums and generated over 1 billion streams since the family-friendly music brand debuted in 2001. The best-selling series has had 24 Top 10 debuts on the Billboard 200 Chart; only three artists in history—The Beatles, The Rolling Stones, and Barbra Streisand—have had more Top 10 albums. KIDZ BOP Live 2018 is the ultimate family concert experience, “sung by kids for kids.” For more information, visit www.kidzbop.com. KIDZ BOP is a division of Concord Music. Dollar Car Rental is the brand of choice for family travelers looking for a dependable and affordable car rental for their family vacations. At Dollar, “we never forget whose dollar it is,” and that motto drives the brand’s efforts to deliver the best experience, every time. For additional information, visit https://www.dollar.com/.